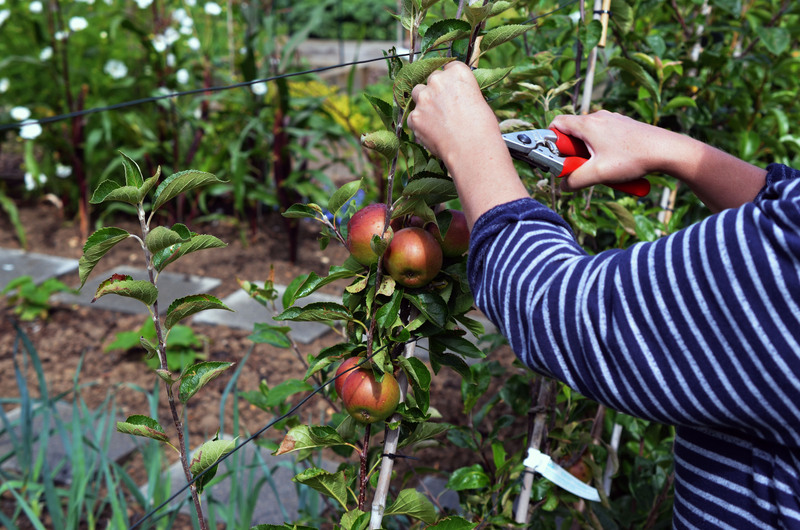 Pruning is probably the only job on the allotment that we argue over in that we both enjoy doing it and this weekend is the time for our apples and pears. Given that Derek got to do the gooseberry bushes I think the trees are rightly mine. The time is right when the side shoots (laterals) are over 20cm long and the lower third of this length is woody. There should also be a cluster of leaves at the base. Prune the shoot leaving three leaves beyond this basal cluster. Secateurs, I use Felco, must be sharp to ensure a clean cut otherwise there is a risk of introducing disease. Any secondary shoots coming off the lateral can be pruned to one leaf beyond the base. And that’s it. A nice relaxing job for a Sunday morning. what a lovely ordered layout puts my plot to shame, suppose its less time down the beach hut then and more time on the plot em ……….. Thank you David but really your plot looks stunning. All sorts of different ways to do it. 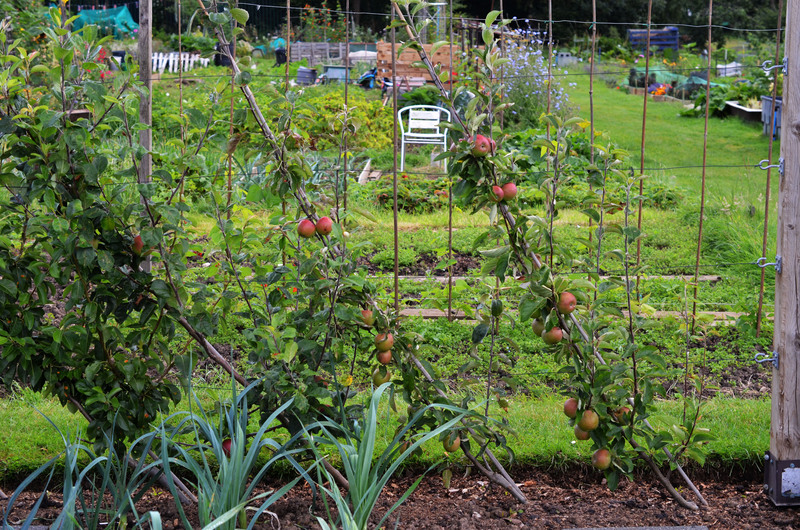 Looks great, I have toyed with the idea of some cordon apples & pears & I really do like the layout of yours. 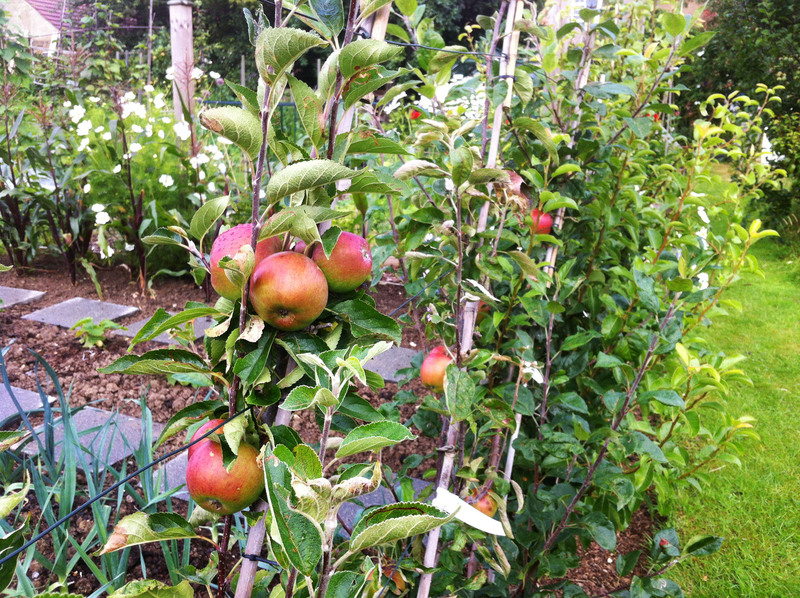 They were a good choice for us given the limited space on the plot.